The Blue Plaque have been used in Britain since the mid-1800's to denote the locations of significant events in the lives of the famous and influential. 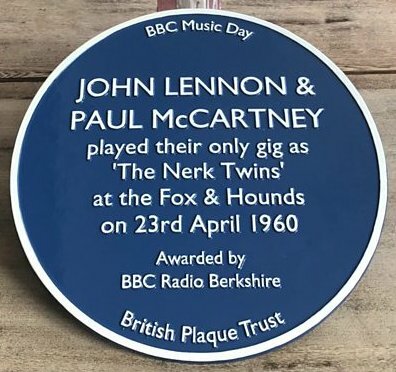 In a normal year, only two to a half dozen plaques are placed around the U.K. but, for this year's BBC Music Day (June 15), 47 new Blue Plaques saluting important locations and people in music, are being added to the British landscape. Mayfair Ballroom, Newcastle - Location of Led Zeppelin's U.K. debut on October 4, 1968. Royal Star Arcade, Maidstone - Location where The Manish Boys (including David Bowie) played.